2009Symbols of China examines those things that make China Chinese. Symbols of China examines the hallmarks intrinsic to and demonstrative of Chinese nationality. From chopsticks to calligraphy, the Spring Festival to Shangri La, Ah Q to Zhong Ku, the book explores the icons that touch the depths of Chinese national identity in the hope of offering a deeper understanding of the ancient civilization. 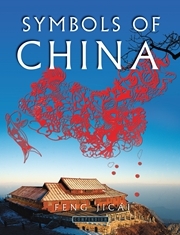 The author is professor Feng Jicai, a prestigious writer and painter. Feng is vice chairman of the International Organization of Folk Art and president of the Fiction Society of China.